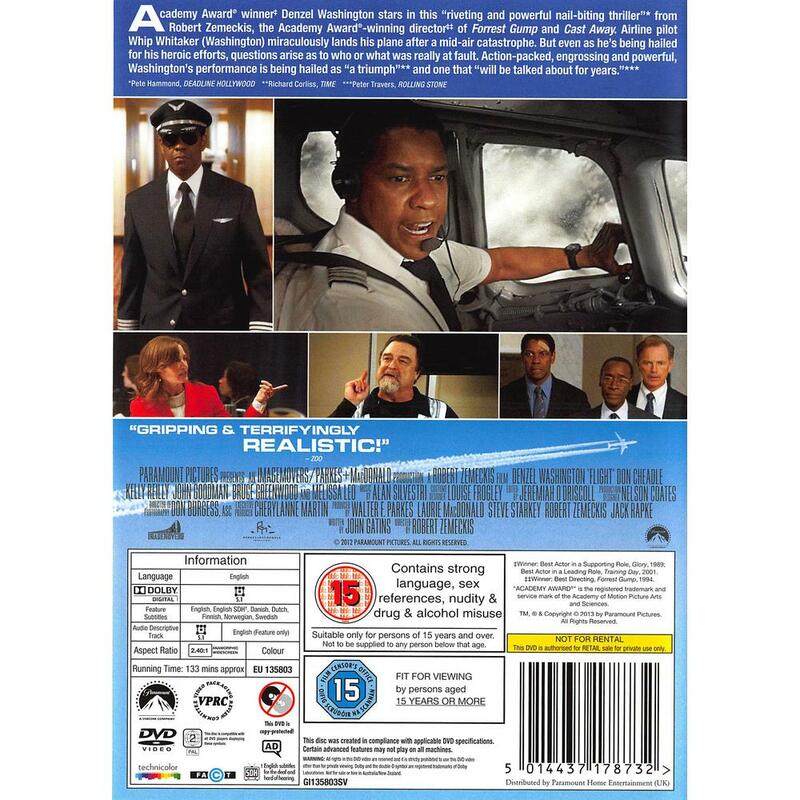 Academy Award winner Denzel Washington stars in this riveting and powerful nail-biting thriller from Robert Zemeckis, the Academy Award-winning director of Forrest Gump and Cast Away. Airline pilot Whip Whitaker (Washington) miraculously lands his plane after a mid-air catastrophe. But even as he is being hailed for his heroic efforts, questions arise as to who or what was really at fault. Action-packed, engrossing and powerful, Washingtons performance is being hailed as a triumph and one that will be talked about for years.